Wyoming rancher Bill Werter is in serious trouble when Texas fever claims a number of his cattle—including his prize bull, King. Now, he needs someone trustworthy to ride into Mexico with ten thousand dollars of his hard-earned money to buy the only bull that could take King’s place: El Duque. Good thing Werter has a friend like the Gunsmith. When word gets out that Clint Adams is heading to Mexico with pockets full of cash, it doesn’t take long for a few bad seeds to spring into action. But tracking the Gunsmith isn’t easy. It’s not safe either—and that’s no bull. 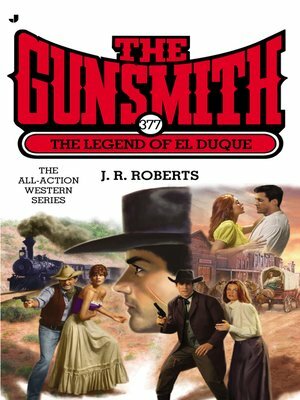 OVER FIFTEEN MILLION GUNSMITH BOOKS IN PRINT!